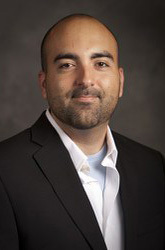 Sean Valles is a philosopher of medicine and assistant professor at Michigan State University, where he is joint-appointed in the Lyman Briggs College (MSU’s residential interdisciplinary science and science studies college) and the Department of Philosophy. Sean’s research centers on philosophical issues in population health. He has published on a range of population health issues including the history and philosophy of twentieth century notions of human diversity and disease, the relevance of theoretical biology assumptions to medical practice in “evolutionary medicine,” the evidence and discourse surrounding debates about the (lack of) regulation for direct-to-consumer genetic testing services, and the misleading use of racial categories in public health programs. Sean’s desire to be an “engaged” philosopher has led him to a variety of relationships and collaborations with practicing scientists. He is a core faculty member at the Michigan State U. Ecology, Evolutionary Biology and Behavior Program. He has served on an interdisciplinary research team through the National Evolutionary Synthesis Center, studying the theoretical and practical aspects (including health and welfare aspects) of “evolutionary mismatch.” He has collaborated with the University of Edinburgh Ethnicity and Health Research Group (in the Centre for Population Health Sciences), working as a visiting scholar with the group in April-May 2013. Through his appointment in Lyman Briggs, an interdisciplinary science and science studies college, he has also worked with science colleagues on a State Department grant to assist the University of Duhok (in the Kurdistan region of Iraq) with revising its science curriculum, including scientific reasoning courses. Valles, S.A. (2012) Should Direct to Consumer Personalized Genomic Medicine Remain Unregulated? A Rebuttal of the Defenses. Perspectives in Biology and Medicine, 55(2), 250-265. Valles, S.A. (2012) Lionel Penrose and the Concept of Normal Variation in Human Intelligence. Studies in History and Philosophy of Biological and Biomedical Sciences, 43(1), 231-289.